Even the PLA is not immune to anti-corruption campaign. This means Xi and Li have a stronger grip of power than some of their recent predecessors. “China\’s People\’s Liberation Army has discovered in a corruption probe that its troops \”illicitly kept\” more than 8,000 apartments and 25,000 vehicles, state media said on Tuesday. But those who benefitted will apparently escape punishment and only have to give them up. 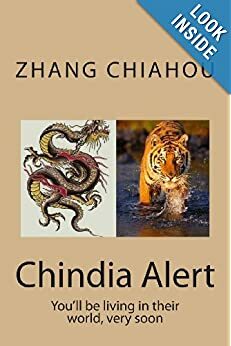 President Xi Jinping, who as chairman of the Central Military Commission is also China\’s top military official, has called corruption a threat to the Communist Party\’s very survival, and vowed pursue powerful \”tigers\” as well as lowly \”flies\”. 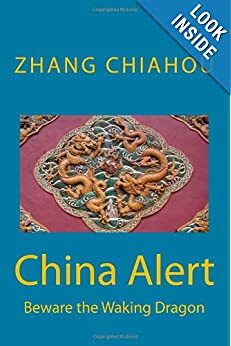 China intensified a crackdown on rampant corruption in the military in the late 1990s, banning the PLA from engaging in business. But graft has intensified in recent years due to a lack of transparency and checks and balances. The PLA said its probe had \”uncovered more than 8,100 apartments and more than 25,000 vehicles kept illicitly by its personnel\”, the official Xinhua news agency reported. There was, however, no mention of punishment. \”Various PLA units have promised to return illegal housing and eliminate secretaries that were not allowed; they have also vowed to strictly regulate the use of military vehicles,\” Xinhua said. via China army says roots out ‘illicit’ apartments in graft fight | Reuters. One would think that in a country with a single ruling party, loyalty to the party and loyalty to the country means the same thing. But obviously, the CPC is concerned that some soldiers (or more importantly their generals) may see a significant difference between these two loyalties. The mere fact that the PLA is asking the troops to be loyal to the party must mean there is some serious doubt about their loyalties! SCMP: “A frenzy of military propaganda that started more than six months ago calling for absolute loyalty to the Communist Party stands in stark contrast to the atmosphere before the party congress in 2002, analysts say, adding that it highlights concerns about the army’s stability. The People’s Liberation Army Daily carried another article on its front page yesterday on the ideological education of the troops, this time written by General Li Jinai, a member of the Central Military Commission and a former chief of the PLA’s General Political Department. “[We] should strongly oppose the arguments for separation of the army from our party, a politically neutral army or the nationalisation of the PLA and other incorrect political ideas,” Li wrote in the article, first published in the November issue of the party journal Qiushi. Zhang Lifan , a Beijing-based political analyst, said such unease stemmed from too many “uncertainties” in the leadership reshuffle at this month’s party congress. “Today’s political uncertainty in the top leadership has never happened since the party came to power in 1949,” he said , referring to the next leadership line-up, which is apparently not finalised even though the congress opens in less than a week. “And the sense of crisis today over the party’s reign is comparable to the Tiananmen protests in 1989.
via Fear over PLA loyalty before party congress sees propaganda frenzy | South China Morning Post. Xinhua: “China’s Ministry of National Defense says the Chinese People’s Liberation Army makes an important contribution to maintaining world peace and regional stability. Speaking at a press conference, spokesman Geng Yansheng says the PLA has established military level relations with over 150 countries and set up defense consultation dialogue mechanisms with defense ministries and armed forces 22 countries. China has taken part in more than 50 joint exercises with armed forces of over 30 countries. All these have helped PLA boost friendly relations and mutual trust with their counterparts. via Chinese military maintains world peace – Xinhua | English.news.cn.